Initially we started in Delhi-NCR and expanding rapidly with new chapters in cities like Pune, Hyderabad, Nasik, Jaipur, Chandigarh with an aim to spread across country. 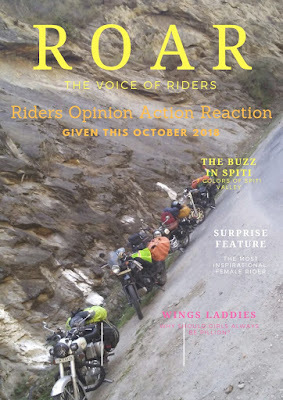 We claim to be the only riding group dedicated only towards Long Distance Riding and Nature Exploration along with riding for cause to bring real measurable social impacts. Women Empowerment: The group involve and take as mission to train 1000 girls across country on how to ride a motorcycle and be independent. This is one area we focus more in bringing experience to public from remote area, the long-distance rides are always associated with a social message and campaign. Few notable rides we did so far area Ride to Spiti Vally, Leh Ladakh, Jaishlmer, Longewala, Kerala and many more. It’s always a need to keep activities ongoing for which have designed a special weekend rides at least once in a month to nearby offbeat location to have a team gathering and bonding. WhatsApp "#MysticRiders" @9069960691 to remain updated about our rides, events , training etc.